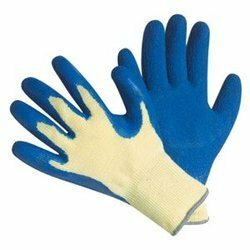 With sincerity and hard work of our professionals, we have carved a niche for ourselves in this domain by providing a premium quality gamut of Safety Hand Gloves. Backed with great knowledge and experience of this industry, we are engaged in trading and supplying an excellent range of Polka Dot Hand Gloves. 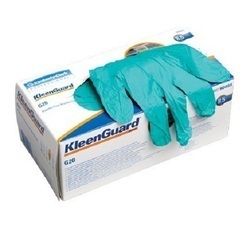 - Used for protecting the hands. - Made with specially formulated neoprene compound for better tactile sensitivity and tensile strength. - Specially designed contoured shape to ensure greater comfort and prevent hand fatigue. - Silky cotton flock-lining for better comfort and improved perspiration.